Windows 10 has been rolling out for about 10 weeks now and is, by all accounts, running on as many as 110 million devices! That is impressive on many levels but today was about hardware and devices, and I wanted to talk about those genuinely new and interesting ways to interact with your games, personal data or your work life. When Microsoft HoloLens was introduced we all could see the gaming potential with the Minecraft demo, but aside from that one demo most of the use cases were education, research and business oriented. I was delighted then to see Project XRAY today which appears to explore more fully the gaming aspects of a mixed reality environment, the implications for the horror genre could be quite frightening. The 950 family of phones will be the first phones to support the Continuum features that we have been using on Windows 10 PCs for the last 10 weeks. With the fast processor (Octocore), 3 GB of RAM and a Micro SD card, that is potentially expandable to 2TB, you essentially have a phone that would compete with a PC from 6 years ago. The true promise of Continuum is not just to scale apps on PCs, but it should enable a virtually uncompromised PC experience on your smart phone that you can carry with you, just waiting to be unleashed (or docked as it were). Windows Hello is also fairly interesting, you can pick up your phone, it sees you, it unlocks. I am not sure that this is a better solution in a retail scenario where you would need to verify your identity. What was impressive about Surface was that Microsoft made a subtle shift in what we assumed a tablet should be and what laptop could be. Surface provided an interesting and, dare I say, transformative perspective by bridging the gap between entertainment and productivity. However, todays announcements were mostly faster processors, more RAM and bigger hard drives … that is not what I wanted to talk about today though. 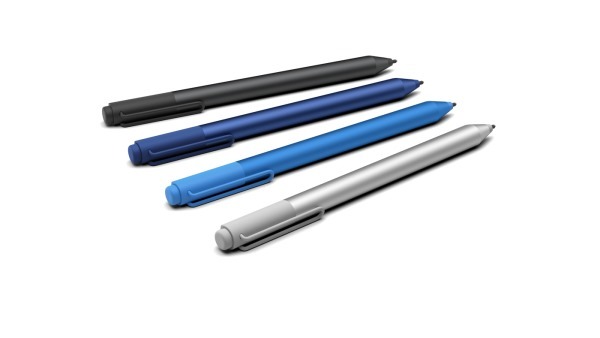 The new Surface Pen, on the other hand, did make more of a significant impression on me, the new Tail Eraser was, in hindsight, an obvious omission to any pen offering. But the significance of a pen that allows for 1024 levels of pressure should give the most demanding artist, musicians (see Staff Pad) and plain old note takers a much richer and more sensitive level of interaction. I cannot wait to get my hands on this Pen, with the interchangeable nibs, and year long battery I am envisioning the myriad of ways I can create with it. At present I assume that it is fully compatible with Surface 3 (and Pro 3).